These practices are known as the six (transcendent) perfections, or the six paramitas. 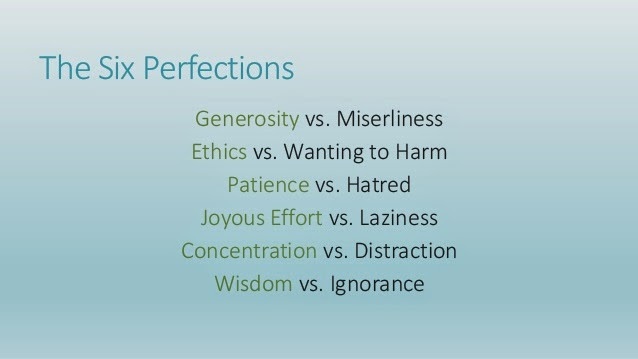 Some Buddhist teachings mention ten perfections in stead of six. The Six Perfections must be cultivated in order to become enlightened. Enlightenment is to become a buddha, an exalted being that has cut off the roots of ignorance and been released from cyclic existence. and therefore enlightenment is impossible. The fourth, enthusiastic effort, is the indispensable support of all perfections.